Recently I was invited by Meridian University, where I also teach, to host a dialogue via videoconference on Crucibles of Change: Guiding Liminal Processes in Organizational Life. Here is the link to the video stream. To me the crucible is a generative image. 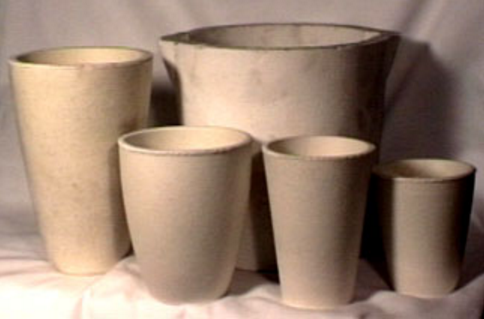 Once we come to understand what a crucible is, we begin to see it everywhere, especially in our work as change agents. I invited Alan Briskin, author of Collective Wisdom, David Sibbet, my colleague at The Grove Consultants International, and Bethe Hagens, who I came to know years ago at an Anthropology of Consciousness conference. 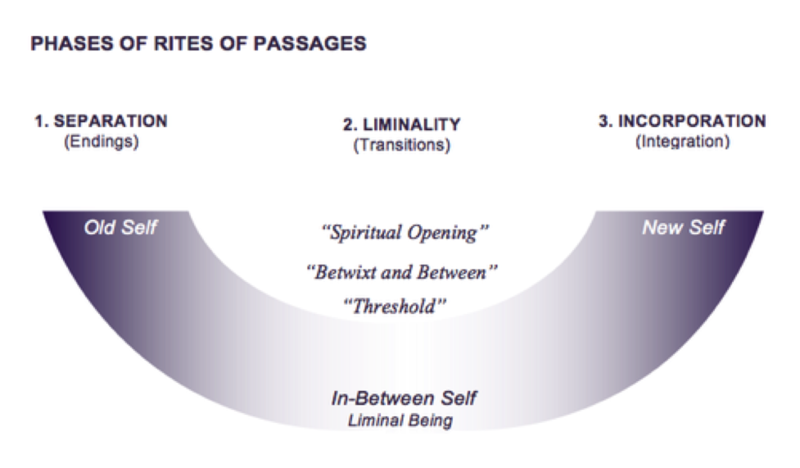 As an anthropologist, exploring liminality has been a significant part of Bethe’s research and academic work. The four of us had a wonderful dialogue. Here is the video link. A couple of months ago I participated in the Wisdom Emerging retreat at IONS with Alan Briskin, Lauren Artress and Angeles Arrien. I began making the painting above during the retreat’s expressive arts process and completed it a couple of weeks later. The painting symbolizes significant aspects of the rite of passage that I am currently in. Here are my thoughts about the making of the painting and what it represents. As always I welcome your comments and questions. 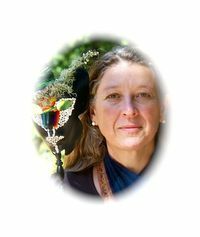 When I first became introduced into indigenous spiritual healing traditions, I began to experience things that were out of the ordinary and outside of the rules of modern western conventions that I grew up with. Many of these extraordinary experiences deeply resonated with me and somehow they felt familiar. There was a part in me that recognized the wisdom, knowledge and healing powers present in these ancient practices. However when trying to articulate and research my experiences, I often wondered whether or not what I was experiencing was real or imagined. Was I actually entering different realities, worlds and places or did I simply shift into an altered state of consciousness or awareness? After some research into these questions I realized that whether something is called altered ‘state’ or alternate ‘reality’ depends on the cosmology or ontology that one uses to understand, interpret or relate to an experience. 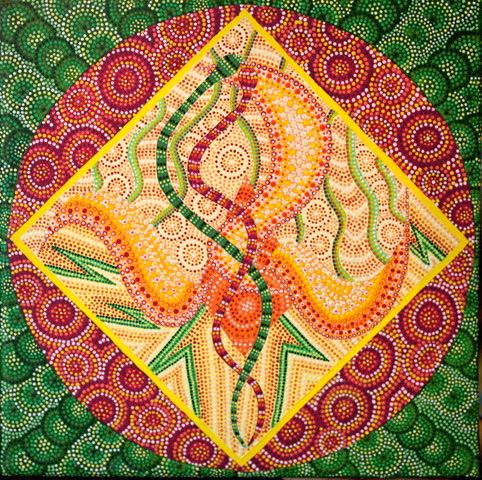 Sometime after the painting Incubation: Lizard Dreaming was done, I looked online to find any references to animal totems in Australian Aboriginal culture. This is when I gained my first real understanding of the concept of Dreamtime. 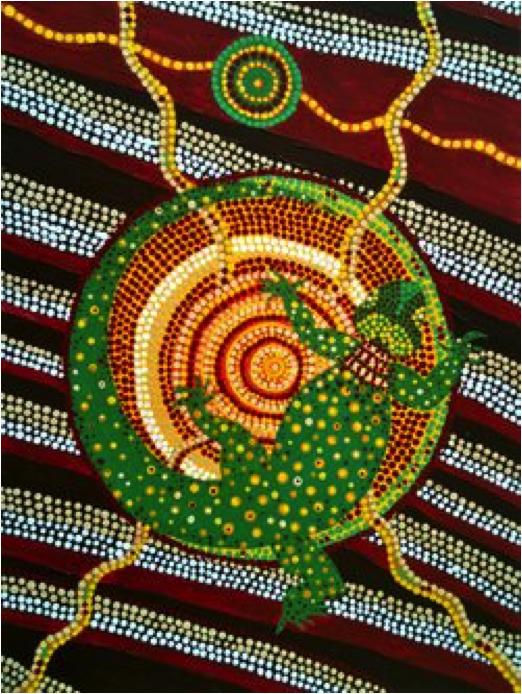 The English word ‘Dreamtime’ is a significant idea that tries to capture how aboriginal people relate to their period of creation that are expressed in their many tribal and land specific creation stories. 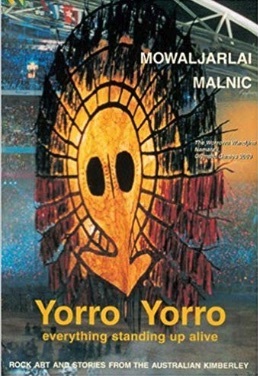 Generally, Dreamtime refers to the time of creation, the time before time, when the world came into being. It was during the creation period when ancestral beings created landforms such as lagoons and mountain ranges as well as the first plants and animals.